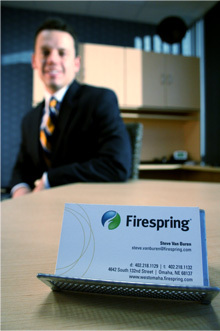 The initial investment level required as a Firespring franchisee ranges from $41,500 to $159,500 (usd), with a minimum cash requirement of $50,000 (usd). It will also be necessary to have or obtain living expenses for at least 12 months. Our marketing and website development experience will provide you with the necessary support to help you achieve your professional goals.